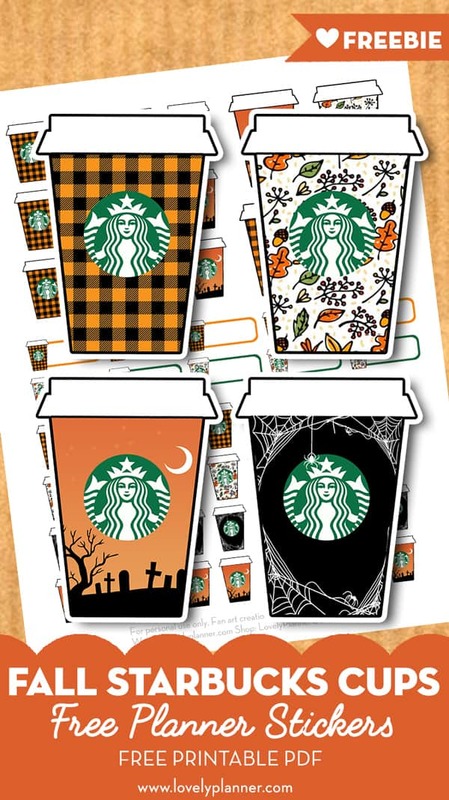 2 years ago I shared with you guys a set of Starbucks Cups Stickers and Christmas Starbucks cup planner accessories that you seemed to like a lot! 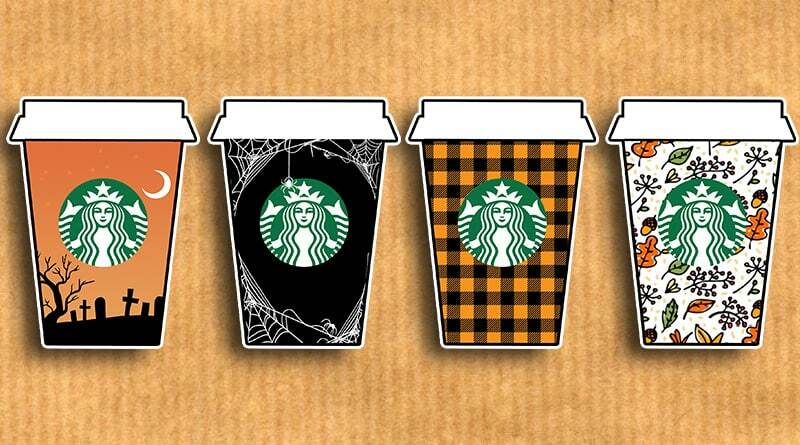 So I thought I would share with you a new set of stickers inspired by everybody’s favorite coffee place:I’ve created 4 different cups, designed with Fall and Halloween colors and patterns, and turned them into Fall Starbucks Cups printable stickers for your planner. 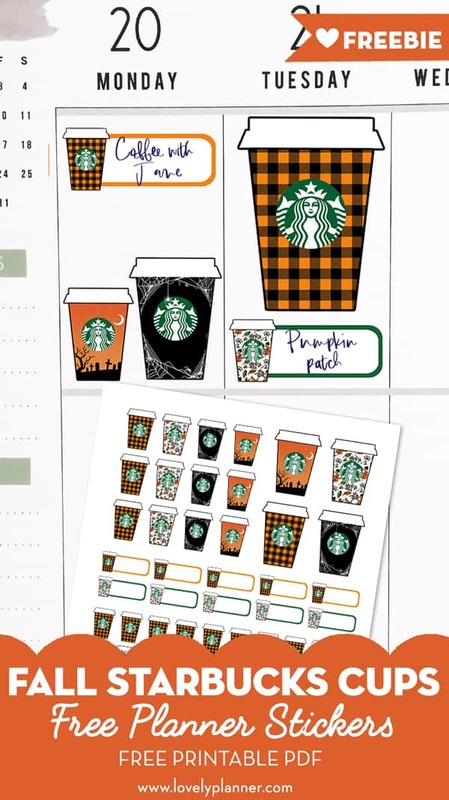 After all, Pumpkin Spice Latte is now back so it’s never too early to start decorating your planner or bullet journal with adorable Starbucks cups stickers. I’ve mixed different sizes for these 62 stickers so you can use them in different ways. 10 cups with space for notes – to write how much you spent or keep note of a Starbucks date for example. Or just to write down any event or appointment. Please note: This is a Fan Art Creation. I’ve created this little cup design myself, inspired by the Starbucks cups, but of course I do not claim any ownership of the Starbucks trademark for this free printable. You can use it for personal use only. Want more? Follow me on Pinterest where I created a board dedicated to all the best free printable planner stickers I find online! There’s more than 500 at the moment and I keep adding new Pins to it! Love these,, thank you so much!